I don’t do dessert drinks very often. I’m more of a spirit-forward cocktail kind of girl. 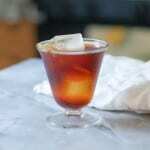 (I tend to go for Brooklyns, and Sazeracs, and Torontos, and sometimes Walnut Old Fashioneds). But this one is fun to make. You get to light it on fire. It’s high drama. 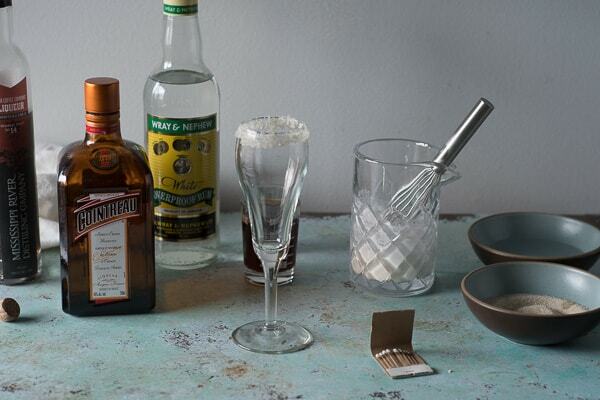 You sugar the rim and pour some overproof rum (which is any 151-proof rum, which catches fire easily) and some triple sec, strike a match or pull out one of those multipurpose utility lighters, and let the burning rum caramelize the sugar around the edge. 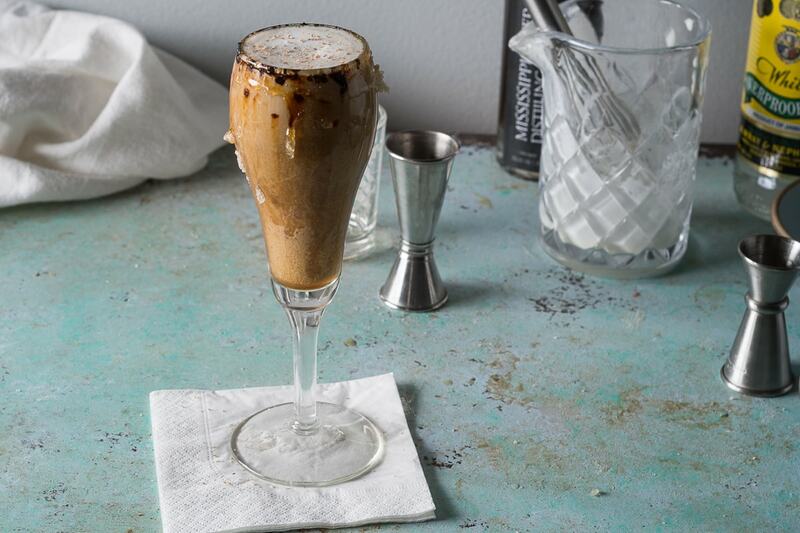 Then you add freshly brewed coffee, some coffee liqueur, and some lightly whipped cream and grate some nutmeg over the top. 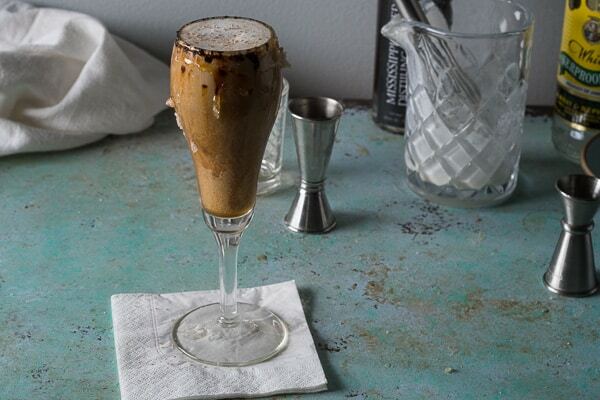 It’s a dessert drink, but not an overly sweet one tempered as it is by the bitterness of the coffee and the complexity of the caramelized-sugared rim. This year, for me, it’s just about the right amount of excitement for a New Year’s Eve. We’ve reached an age where staying up until midnight sounds like more of a chore than a fun evening. We like to celebrate the New Year when it arrives in Newfoundland, which is 9:30 in Chicago. (I like to call it our happy Newf Year…) Then we can be in bed by a sensible 10:00 pm. Oof. We are old. I’m not much for writing down New Year’s resolutions, but I’ve been enjoying this list of Woody Guthrie’s “New Year’s Rulin’s” from 1943, which includes such gems as “dream good,” “change socks,” and “fight fascism.” All of which sound like good ideas for 2017. 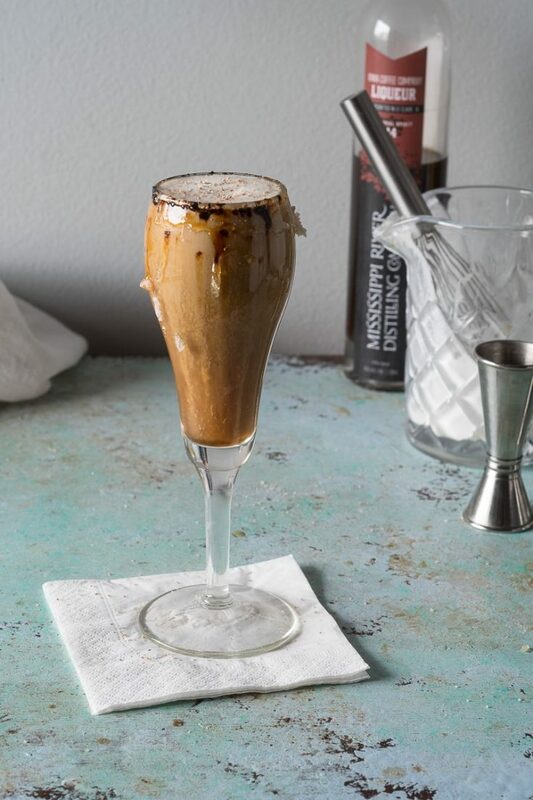 Spanish coffee is a cocktail that originated in Portland, Oregon in the 1970s at Huber's Cafe. It remains popular in the Pacific Northwest, but hasn't spread far beyond that, which is a shame, because it's both delicious and fun to make. 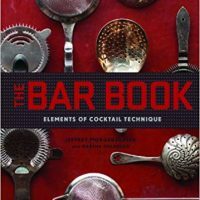 My version is adapted from Jeffrey Morgenthaler's excellent Bar Book. 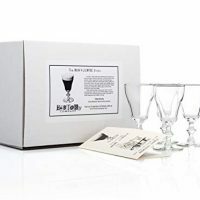 You need to make sure you have a tempered glass with a stem to hold onto (a standard wine glass should be fine, but no rocks glasses unless you also have fireproof bionic hands). You need a 151-proof rum (also called overproof rum) which you set on fire and use to caramelize the sugar around the rim of the glass. Morgenthaler moistens the rim of the glass with a lime wedge, but I typically just use water because I don't think the lime flavor comes through and I find it more convenient. 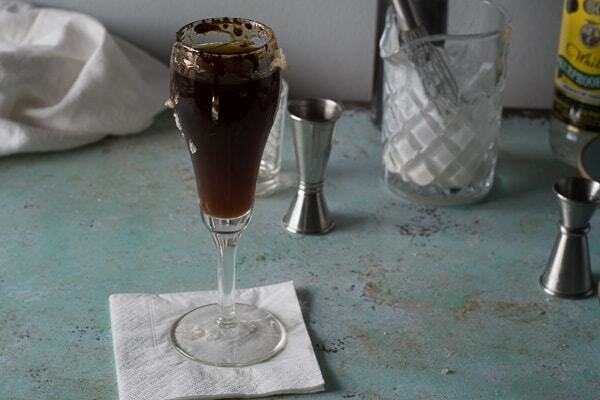 You can use any coffee liqueur you like. 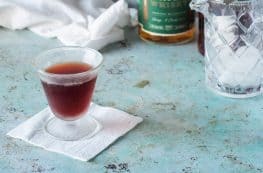 Morgenthaler uses Kahlua, which is probably the sweetest of the widely available coffee liqueurs, but I think the drink also works well with Tia Maria and coffee liqueurs from smaller producers. Put some sugar in a shallow bowl. Put some water in another shallow bowl. Dip the rim of the glass in the water and then into the sugar to make a band of sugar around the rim (both on the inside and outside). 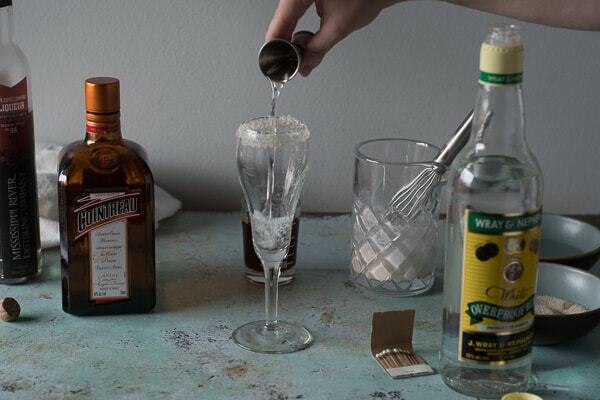 Add the rum and triple sec to the glass, and light with a match or lighter. 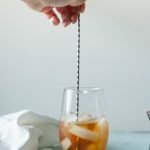 Hold the glass by the stem at an angle and let the flame heat the sugar around the rim and twirl the glass until the sugar begins to bubble and caramelize. I like it dark and caramelly. It usually takes about a minute. Add the coffee liqueur and the coffee. Top with whipped cream and freshly grated nutmeg. Serve immediately. Oh I’ve never had Spanish Coffee before! Looks delish! This sounds like a really yummy and fun recipe. I can definitely relate to it being a chore to stay on New years eve..but I have fun trying:) Happy New Year! Love that GIF! 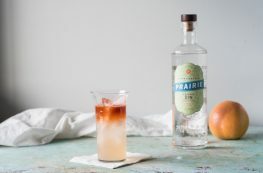 This looks like a really delicious sipper — is this an evening aperitif, or will it keep you up all night? Better for brunch? I make it with decaf for evening, which is my favorite time for this one. But it would absolutely be lovely for brunch! I had totally forgotten about the Spanish coffee. I used to love them years ago although you make a much better Spanish coffee than I ever did. Certainly I never thought to flame the rum to create a caramelized rim. This one will be just the thing for New Year’s day to knock the cobwebs off from the night before. Thanks! 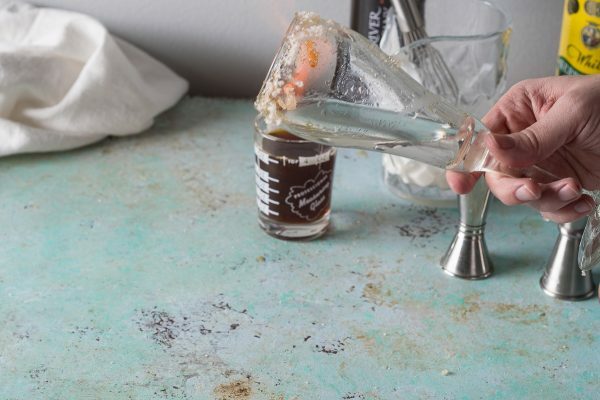 I love coffee drinks and this one looks delicious. I also love all the ingredients and I can’t wait to try it.